The fame of Grimm Brothers Brewhouse is spreading. This time they are distributing out of state to their neighbor to the northeast - Nebraska. Here's a press release issued today detailing the new agreement that will bring Grimm Brothers beers into the Cornhusker state. Loveland, Colorado and Omaha, Nebraska December 18, 2013: Grimm Brothers Brewhouse and Johnson Brothers Distributing Company are pleased to announce a Distribution Agreement. Effective immediately, Johnson Brothers Distributing will handle all sales and distribution of Grimm Brothers products in the Nebraska markets. “This arrangement will allow Grimm Brothers to introduce our beers to longtime fans and new followers”, according to Russell Fruits,Vice President of Grimm Brothers. “We are very excited for this new adventure”, Fruits added. “We are extremely excited to introduce Grimm Brothers to the Nebraska craft beer scene! This partnership will allow Johnson Brothers and Grimm Brothers to expand the ever growing footprint of American craft beers in the Midwest. 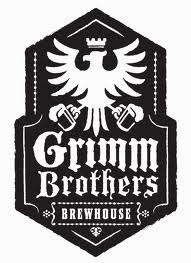 Johnson Brothers and Nebraska welcomes Grimm Brothers Brewhouse!” said Jim Matyja of Johnson Brothers Ne. The first few shipments will be bottles only, and expand to include draft sales. Grimm Brothers recently won a Bronze medal at the Great American Beer Fest for their Fearless Youth Lager, adding to the two medals for Little Red Cap in the two previous years. Grimm Brothers founded in Loveland Colorado is Loveland first production brewery. “The Mid-west is a great market for us, it has a burgeoning craft market and with its rich European and German heritage it’s a perfect fit for our beers” Russell Fruits. Grimm Brothers Brewhouse is one of the premier craft brewers of Northern Colorado. Founded in July, 2010, Grimm Brothers is a three time Great American Beer Festival medal winner. Located in Loveland, Colorado, Grimm Brothers specializes in Old World and German Style Ales and Lagers brewed in the traditional manner but with innovative American freedom. Grimm Brothers operates a Tap Room at 623 N. Denver Ave., Loveland, CO offering our fine beers for on premises consumption and carry-out sale. They currently distribute throughout the state of Colorado. - Grimm Brothers Maiden's Kiss Maibock Lager review. - Grimm Brothers The Bleeding Heart Coffee Porter review.